Kerala’s elephants, once its pride, are turning rogue more and more. Why? Thechikottukavu Ramachandran is tall, dark and handsome and usually keeps to himself. But he does have a violent streak in him, especially when provoked. Something snapped on that fateful Sunday last month at a temple festival in Perumbavoor near Kochi. The bull elephant trampled three women, injured 20 others. For centuries, the pachyderms of Kerala have lent a certain grandeur and majesty to the state’s religious and cultural narratives. However, in the past decade or two there’s been a growing dissonance between Kerala’s captive elephants and the mobile-toting popul­ation. 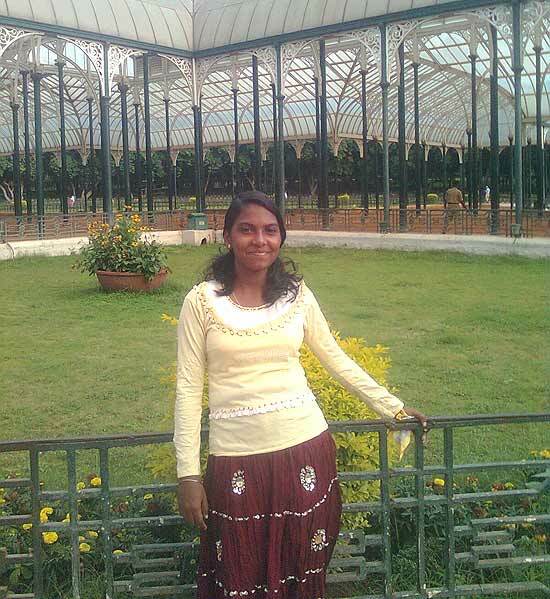 With alarming regularity, one sees ele­­ph­ants in the state turning violent. This year, not a day has passed without at least two incidents of eleph­ant violence being reported. And the festival season is just beginning. V.K. Venkitachalam, secretary of the Heritage Animal Task Force, says in the new year alone there have been 240 inc­idents of elephants running amok in the state with five people being gored to death. 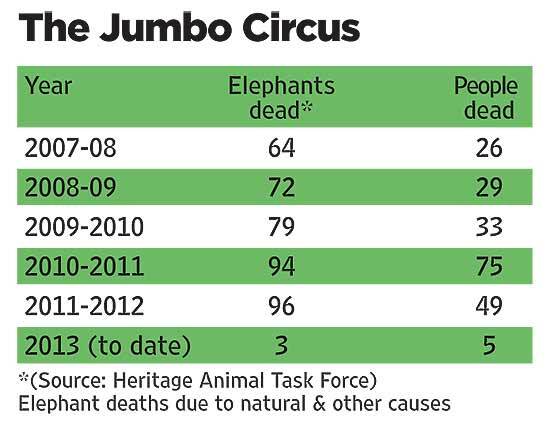 Last year, there were 816 incid­ents of elephant violence and 49 deaths. Most of these because the organisers flout rules. Particular elephants are also to blame. Ramachandran, for instance, has a history of violence. In the past 21 years, he’s run amok many time (the Kerala HC even banned it for a time from festivals). The problem is, he’s also a highly coveted jumbo for he’s one of the tallest (if not No. 1) in the state. And the tallest elephant at any temple festival has the honour of carrying the thidambu, the temple idol. Hence, cases like in Perumbavoor. This happens also because the law, as always, has loopholes. Section 8(4) of the Kerala Captive Elephants Mana­gement and Maintenance Rules, 2012, says that any elephant causing death of human beings shall be banned from taking part in temple festivals for 15 days. The elephant shall be permitted to take part in festivals again only after certification by three veterinary doctors. M.N. Jayachandran of the Idukki district SPCA says this gives elephant owners and festival organisers enough leeway. “The forest department gave a fitness certificate to Ramachandran, all­owing it to be paraded for an hour. But he turned violent again. Such elephants with a violent history should be completely banned,” he says. State forest minister K.B. Ganesh Kumar is an elephant owner himself and many believe he openly sides with the Kerala Elephant Own­ers Asso­ciat­ion. Welfare cam­p­aigners even allege that rules were changed to suit elephant owners after he took over. The Kerala Forest and Wildlife department website has a published list of captive elephants and their owners. But it only lists 255 (of the 702) with ownership certificates, a must as per the Wildlife (Protection) Act, 1972. Indeed, the website does not list the ownership certificate of the minister himself, although he owns 19-year-old Viswanathan, a bull eleph­ant nearing his prime. 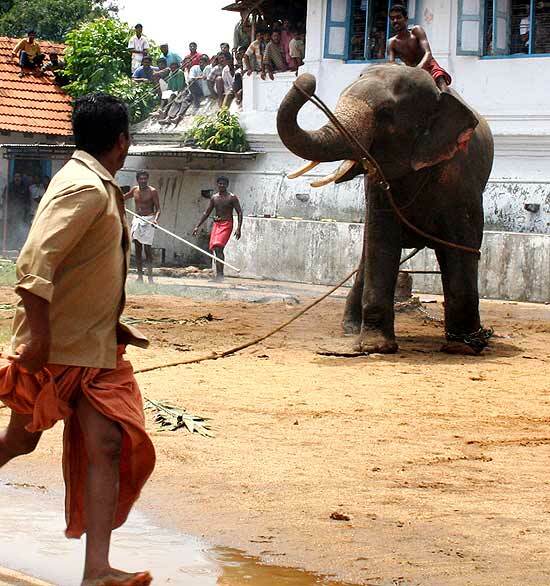 “Keeping an elephant without an ownership certificate is an illegal act,” says Venkitachalam. But it’s common practice in Kerala, where none of the departments concerned—be it forestry or wild­life—stocks any real figures of how many elephants there are in captivity. But a question to ask is, why have the state’s elephants turned violent of late? Veterinary doctors say a major reason is their coming from other regions at an early age before they are “conditioned”. Elephant herds have a hierarchy system, and the young learn discipline there. Experts say when they miss that training, they are much more difficult to control later on. Elephant expert Jacob V. Cheeran says, “Elephants can never be domesticated, they can only be kept captive. This violence is the outcome of the owners’ greed, continuously parading them in the season without rest.” The elephant also needs to munch down 8-12 hours but in the festival season they don’t get the chance to do that too. Under this continuous stress, many cave in. Also, a majority of the festivals fall in the November-April period, which often coincides with the elephant’s ‘musth’ or fertile period. Over 35,000 festivals occur during this time (now even some of the churches and mosques like to have elephant parades). For the owners, this is the time to make a killing and so the elephants are rushed from one event to another. To keep them calm, they are often given sedatives like haloperidol. “You need `1,500 on a daily basis to maintain an elephant, not counting the three mahouts to look after it.” An elephant is rented out for `8000-50,000 per day in peak season (or even more in the black market). As demands for tall elephants rose in the state, many were brought from the north and east of the country. Thech­ikottukavau Ramachandran, indeed, is from Bihar. These elephants, many a time, found it difficult to get used to the new climate and food, and after incide­nts of them going rogue went up, a ban on importing elephants was put in place. But that hasn’t stopped anybody. Many elephants are still smuggled in from Uttarakhand, UP and Assam. Experts also say there is little bonding between the new mahouts and the jumbos, which perhaps explains the high incidence of mahouts being gored to death. Eighty-plus years old Dr Radhakrishna Kaimal, one of the small pool of specialists in Kerala, with over 60 years of experience treating elephants, says, “In the old days the mahouts resided in the ill­ams (homes) of the Namboodiri Bra­­hmins who kept elephants. A mahout would bond with the elephant and devote his lifetime to it and then his son would take over. Now you see mahouts moving from elephant to elephant, assaulting them more and more to make them obey.” The gracious elephant traditions of Kerala died a long time ago, what we witness today is their abuse in the name of business and religion.